One of the key differences between the 1917 Code of Canon Law and the 1983 Code is that in the 1983 Code, there are no longer any reserved sins, only reserved censures - and there are not many of those. Nevertheless, both Misericodiae Vultus, the Bull of Indiction of the Extraordinary Jubilee of Mercy and the recent letter to Archbishop Fisichella, speak of permission being given to priests to absolve reserved sins. The letter to Archbishop Fisichella was widely misinterpreted in the press, but that is no surprise, since we have now had two massively important documents that themselves confuse the forgiveness of sins with the remission of canonical censures. Perhaps there might be someone in Rome much more learned than I am in the byways of canon law who could proof-read these things before they are published to the world. As at least some people know, now that the dust has settled, many Conferences of Bishops have, for many decades, agreed that they will all give all their priests faculties to absolve from the censure attached to procured abortion. In fact, it is likely that many women who have had an abortion will not have incurred the censure because of fear, psychological coercion or ignorance of the gravity of the sin, but it is helpful for the priest to be able to take any doubt away by formally absolving from the censure. Generally, priests will have heard many confessions of abortion over the past decades, dealing compassionately with mothers who have bitterly repented this bad decision, developing pastoral praxis in the confessional - or to put it more simply, learning what are the most helpful considerations to put before their penitents to help in the process of healing and confidence in God's loving mercy. It is galling to have the chattering classes now publishing articles that assume that mercy towards women who have had abortions is a stunning new idea that has just been thought up to shake the nasty priests out of their misogynism. I think in particular of all the women who have resorted to abortion. I am well aware of the pressure that has led them to this decision. I know that it is an existential and moral ordeal. I have met so many women who bear in their heart the scar of this agonizing and painful decision. What has happened is profoundly unjust; yet only understanding the truth of it can enable one not to lose hope. The forgiveness of God cannot be denied to one who has repented, especially when that person approaches the Sacrament of Confession with a sincere heart in order to obtain reconciliation with the Father. I would now like to say a special word to women who have had an abortion. The Church is aware of the many factors which may have influenced your decision, and she does not doubt that in many cases it was a painful and even shattering decision. The wound in your heart may not yet have healed. Certainly what happened was and remains terribly wrong. But do not give in to discouragement and do not lose hope. Try rather to understand what happened and face it honestly. If you have not already done so, give yourselves over with humility and trust to repentance. The Father of mercies is ready to give you his forgiveness and his peace in the Sacrament of Reconciliation. To the same Father and his mercy you can with sure hope entrust your child. With the friendly and expert help and advice of other people, and as a result of your own painful experience, you can be among the most eloquent defenders of everyone's right to life. Through your commitment to life, whether by accepting the birth of other children or by welcoming and caring for those most in need of someone to be close to them, you will become promoters of a new way of looking at human life. 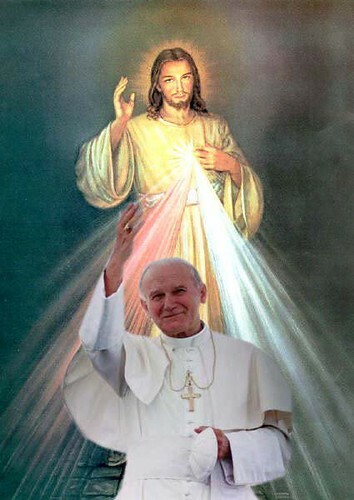 St John Paul does not leave women in the position of being forgiven, of passively receiving mercy. He brings a note of positive confidence and encouragement to action and leadership. Pro-life groups will affirm that some of their most generous supporters, and indeed sometimes some of their most powerful speakers, are women who have themselves had an abortion and have later experienced a conversion to the pro-life cause.